Low 80s today, low humidity, slight breeze, blue sky with white clouds for texture. Drove with the windows open. 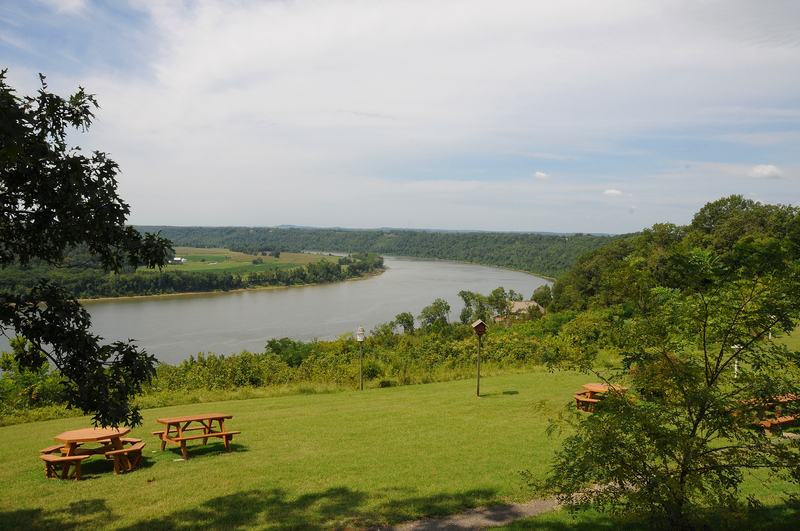 Stopped high on a cliff overlooking the horseshoe bend in the Ohio River west of Louisville. It bends tighter than what I’ve seen for over 35 years in Cincinnati. No barges today. Just cool scenery. 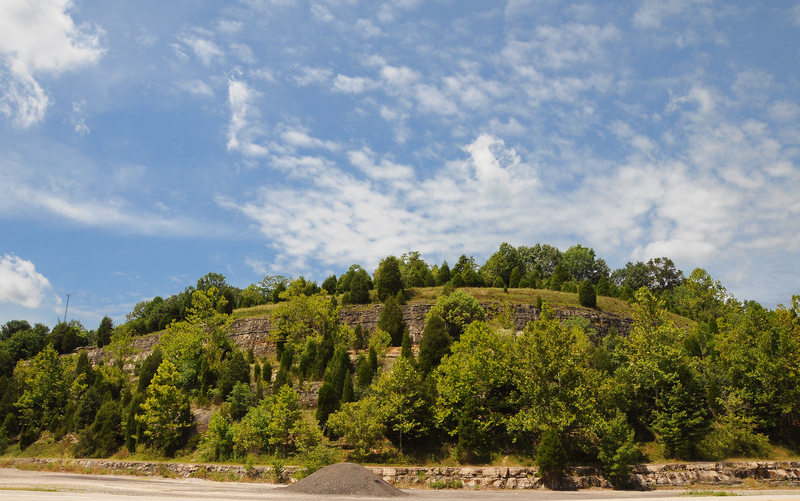 The hillsides are mostly the layered rocky stuff all littered with trees scratching for footholds. Tall hardwoods shading the roads. Shouldn’t be surprise, we’re driving through Hoosier National Forest. One part of it today. I’m not used to a National Forest being split into multiple sections. We missed one today, drove through another, plan to stay in a third section in a couple days. There might be more. Staying at Patoka Lake State Park inside the National Forest. Can’t see the lake for the trees. Over 240 sites, and only about 30 are occupied! 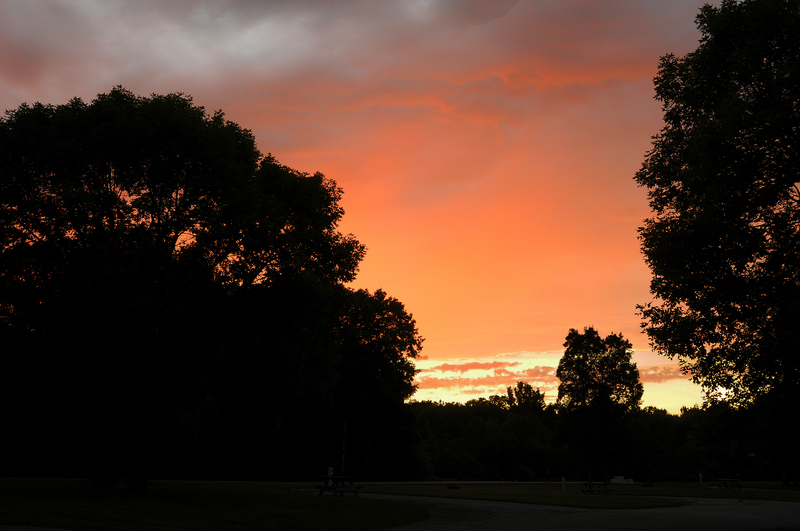 Hardly anyone here missed tonight’s sunset! Betcha most missed the double rainbow in the opposite direction, it was so fleeting! 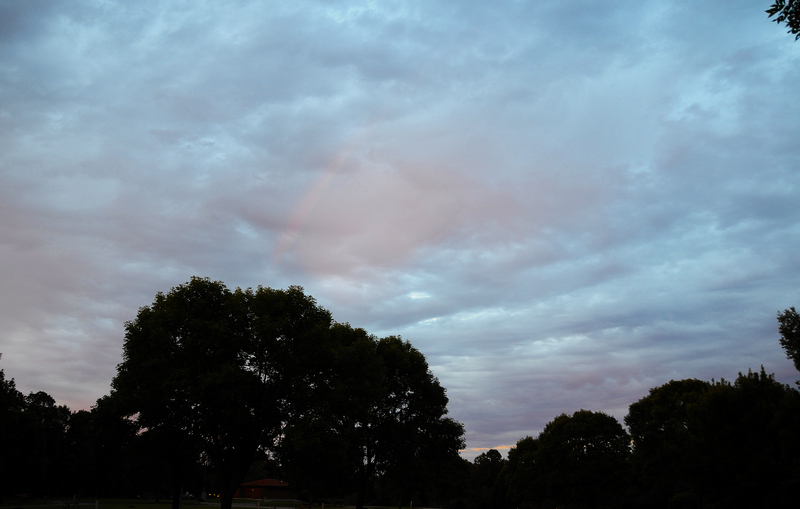 I nearly missed it with the camera; hope your screen helps you see the fading arc I captured!